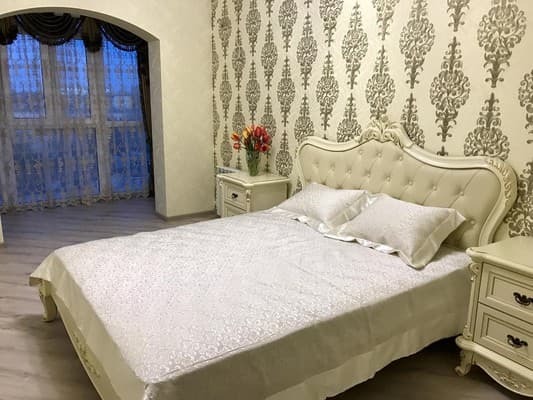 Apartments "Luxury apartments in the center of the city" are located in the resort town of Berdyansk.distance to the sea - 1000 m. The view from the balcony overlooks the sea and the beach. Suitable for relaxing with family or friends. The house has a large bedroom with a double bed of cream color. Near her there are two nightstands with two compartments in each of them. The rooms have video players and flat screen televisions. The windows have mosquito nets. 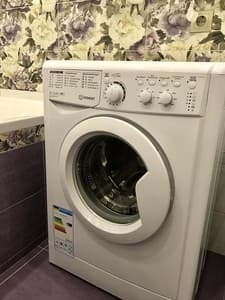 You can use the iron and ironing facilities if necessary. The kitchen supports the overall color scheme of the house and is also executed in light cream colors. 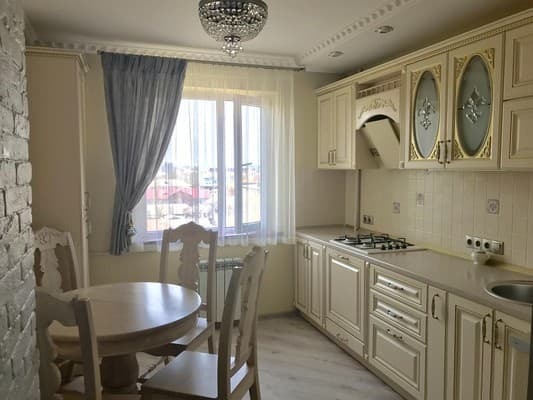 There is an electric stove, dishwasher, sink, extractor fan, round dining table, four chairs and a variety of cupboards for dishes and other kitchen utensils. The whole set of dishes is attached. Bathroom in every room. 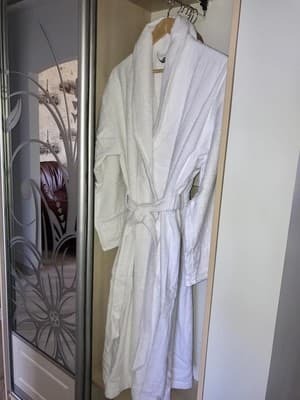 Every tourist receives personal hygiene products, towels and bathrobes. For those with special needs and people living on the upper floors, there is an elevator. The kitchen supports the overall color scheme of the house and is also executed in light cream colors. 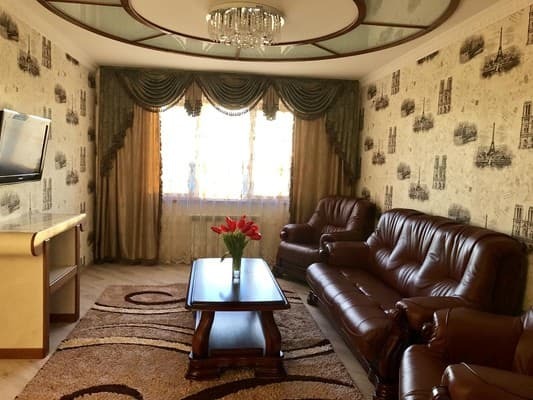 There is an electric stove, dishwasher, sink, extractor fan, round dining table, four chairs and a variety of cupboards for dishes and other kitchen utensils. The whole set of dishes is attached. 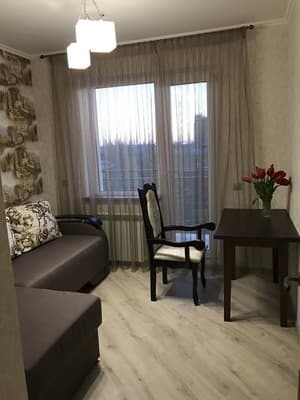 Apartments "Luxury apartments in the center of the city" are located in the resort town of Berdyansk.You can take a bus at number 10 from the station.From the station distance of 1.7 km. Distance from the sea is 7.9 km. From the center - 3.3 km. From the station in Zaporozhye, you can take a bus to Berdyansk.